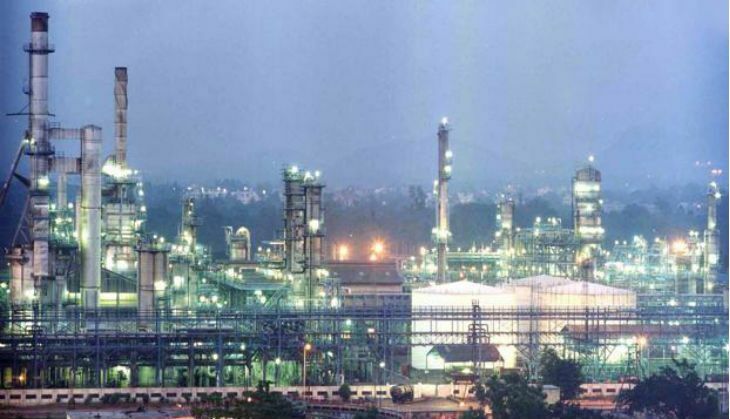 India has agreed to pay Iran an interest of 1.5 per cent on the $6.5-billion that refiners like Essar Oil and Mangalore Refinery (MRPL) owe it in oil dues, as a 'goodwill gesture'. Iran had sought an interest rate of Libor-plus 75 basis points on the $6.5 billion Indian refiners owe it in past oil dues, to make up for the foreign exchange losses. "Although we believe there is no interest due, but as a goodwill gesture oil companies have agreed to pay the interest rate," a finance ministry official said. "Seven days US Libor plus 75 basis points equals to an interest rate of about 1.5 per cent," the official added. The demand for interest rate was made when oil minister Dharmendra Pradhan met Iranian Central Bank Governor Valiollah Seif in Tehran on 9 April. Iran, which wanted the interest to be paid after differences cropped up over foreign exchange rate, sold oil to refiners like Essar Oil and Mangalore Refinery and Petrochemicals Ltd (MRPL) in US dollar per barrel. Around 45 per cent of the oil bill was paid in rupees in a UCO Bank account while the remaining 55 per cent was to be cleared whenever banking channels open. Now with the lifting of sanctions, Iran has presented its unpaid bill. But Essar Oil and other refiners want to pay Iran at the exchange rate prevalent at the time of buying crude oil in the last three years. Rupee to a US dollar was under 55 in February 2013 when the 45:55 payment system became operational. Rupee to a US dollar is nearing 67 now. "Iran believes it will lose about Rs 1,500 crore due to the exchange rate variation and this interest rate will help make up for it," he said. The official said India is agreeable to paying interest rate even though the 'Bilateral Payment Agreement' entered into in August 2012 does not provide for payment of interest. With India agreeing to Payment of interest, refiners will clear the past dues as per the exchange rate prevailing at the time of billing. This means refiners will pay the amount billed at the time of buying crude oil from Iran plus 1.5 per cent interest. The official said Iranian Central Bank officials will shortly visit India to further discuss the modalities. Ideally, if refiners had kept dollar equivalent to their purchase in separate account over the years they could have readily paid Iran now. But for a barrel of oil they bought in February 2013 at say $80, they would now have to pay Rs 5,360 instead of Rs 4,400 then. Iran, he said, wants dollar equivalent of the dues in euros. It wants the past oil dues as well as billing for the future oil to be cleared to Asian Clearing Union (ACU). The Central Bank of Iran has requested the Reserve Bank of India (RBI) for bringing it under ACU mechanism. RBI in turn has sought concurrence from the Department of Economic Affairs for brining Iran under the ACU mechanism. "Settling payment through ACU mechanism hinges on availability of international banking channels to make euro settlements. We are still awaiting that to happen," the official said.